Add variety to your kitchen with this rustic square tub. It can fit perfectly into the corner of your countertop and filled with things you use every day like olive oil, salt, pepper, vinegar, and basic utensils. 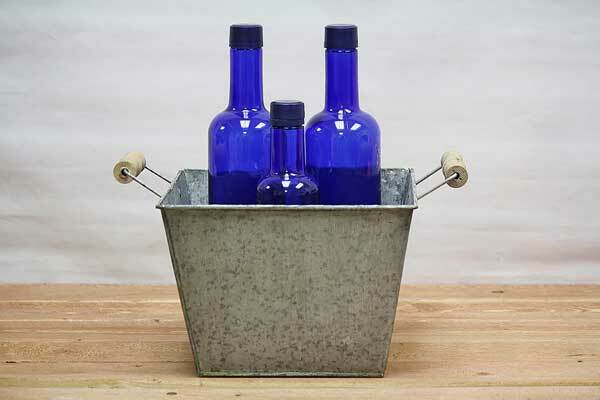 Store rolled washcloths and with this vintage-inspired rustic metal bucket. Alternatively, you can use it to plant herbs for easy access to fresh flavor for your meals! Square galvanized planting buckets in two sizes. Or a nice large square copper bin.